We may specialize in web design and strategy, but BlackOut is just as adept at providing print solutions. We recently helped The InPact Group ensure they always make the right first impression with BlackOut-designed business cards. InPact offers project management, business grant writing, business plan writing, business sustainability planning and organizational training and development services. 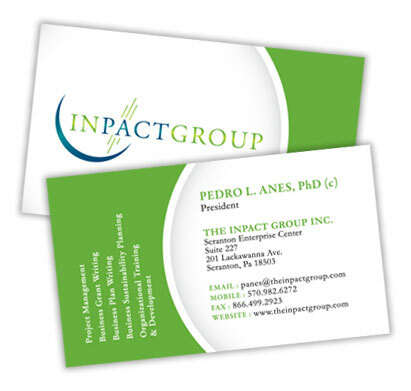 The BlackOut-designed business cards reflect to the professionalism and focus of the InPact Group as a whole.